The Rotary Club of Upper Sandusky, OH is proud to serve the local community through its motto, "Service Above Self". Follow the tabs to the left to learn more about the local club, its projects, and members. See our upcoming event announcements below, and be sure to view the calendar to see what is happening in the near future. 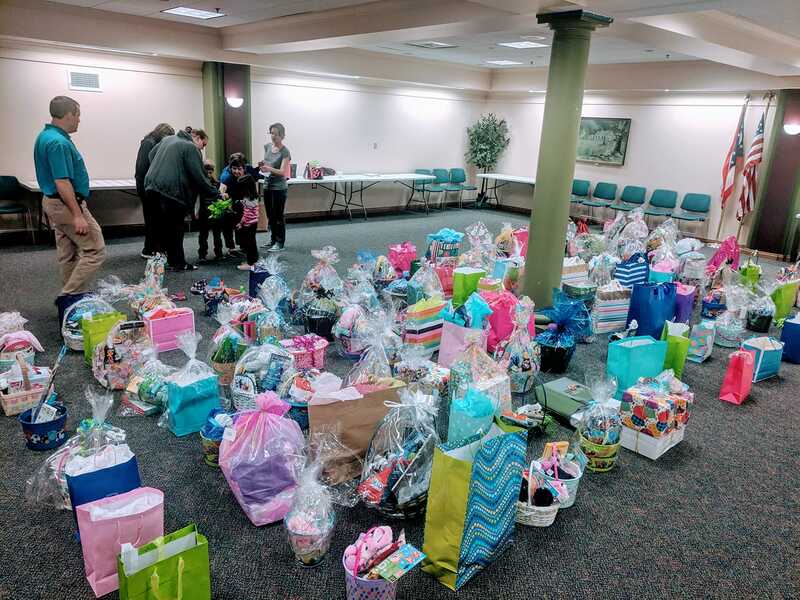 The Upper Sandusky Rotary Club would like to sincerely thank the numerous community members who helped to provide 149 area children with needed clothing this Easter season. This was the greatest amount of children ever participating in a single year of Good Eggs, and the heightened need would not have been fulfilled without the help of many! A few baskets were not collected last Friday (April 19th). Left over baskets can be collected at the Wyandot Chamber of Commerce office (108 E Wyandot Ave., Upper Sandusky) until Friday, April 26th. 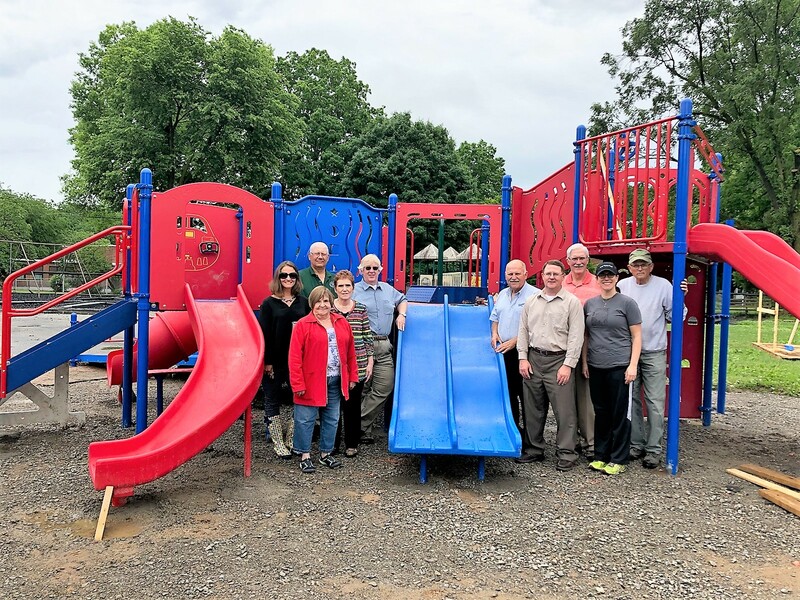 Last summer members of the Rotary Club of Upper Sandusky and members of the South Elementary School Parent Team worked hand in hand to install a new playground equipment structure. Rotary partnered with the South School Parent Team to generate over $30,000 for the project of which over $12,000 came from a successful Rotary District 6600 Grant. This project provides Upper Sandusky with the first ADA equipped playground equipment in the City! Ground cover will soon be installed making this equiment open to the public and ready for the upcoming school year. 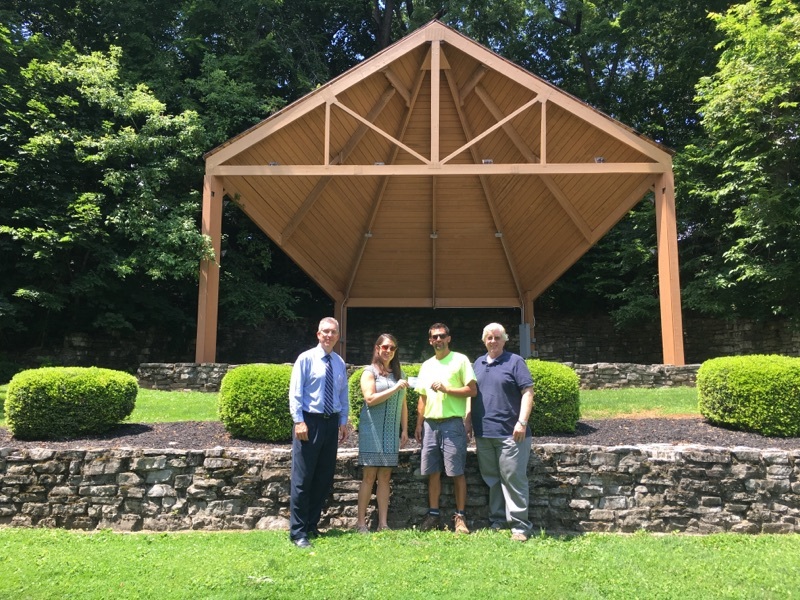 The Rotary Club of Upper Sandusky presented a $2,500 check to Upper Sandusky Parks Department Supervisor Keith Neiderkohr on July 21st in support of the refurbishment of the band shell at Harrison Smith Park. Thanks to all who support our beautiful local parks! Many local Rotarians and volunteers pitched in for another weekend work day at Camp Shuleski. The Scout camp located south of the Village of Sycamore was established to serve a number of area youth groups, and construction of the camp facilities is still underway. The Upper Sandusky Rotary Club made a past donation and completed work days prior to the efforts last weekend (May 20th). Thank you to all that helped! Many local Rotarians and volunteers gathered on Tuesday, May 16th for Rotary's annual flower planting in downtown Upper Sandusky. This program is a win-win as it not only dresses up the downtown area, but involved the City purchasing flowers through the Upper Sandusky High School Band's annual flower sale fundraiser. Welcome to the Upper Sandusky Rotary Club's website. The club was chartered on June 28th, 1943 and led by President, Paul Stephan; Vice President, J.D. Blackford; Secretary-Treasurer, Earl Ulrich and Sergeant-at-Arms, George Denman. Our motto, "Service Above Self" has been present in activities undertaken by this club and it's members since the day that the Toledo Club and Findlay Club laid the plans to start a club in Upper Sandusky. From planting 2,000 trees around the recently built Wyandot Memorial Hospital (trees in 1952, hospital in 1950), to providing air conditioning units to cool hospital rooms (1953) to current day projects of building playgrounds in the local parks and school to working with other local service organizations to provide the very first Pavillion at the "new" Upper Sandusky Reservior. There have been numerous local projects over the last 60+ years and these, of course, could be easliy overlooked by the enormous amounts of generosity and humanitarian aid that Rotary International has provided. Rotary is one of the largest service organizations in the World and has been accredited with being the driving force behind erradicating Polio. Although not completely gone from the world, it is well on it's way to becoming a thing of the past. Rotary is so well received that it has been able to partner with The World Health Organization (WHO), the Center for Disease Control (CDC), the Bill and Melinda Gates Foundation, Governments of countries around the world and many other organizations to provide immunizations, clean drinking water, humanitarian aid and literacy around the world. Please enjoy the site and feel free to join us at a regular meeting at Special Occasions Catering every Monday at noon.